Life after sixty is typically a life of careless abandon. Once you hit your 60th birthday, you no longer have to worry about catching the next train for a job interview or waking up for early morning exam revisions. So, what’s left of you is to look gorgeous and maintain a beauty and vibrant skin. Thankfully, experts out there have ensured that looking beautiful after 60 doesn’t have to be much of a hassle. 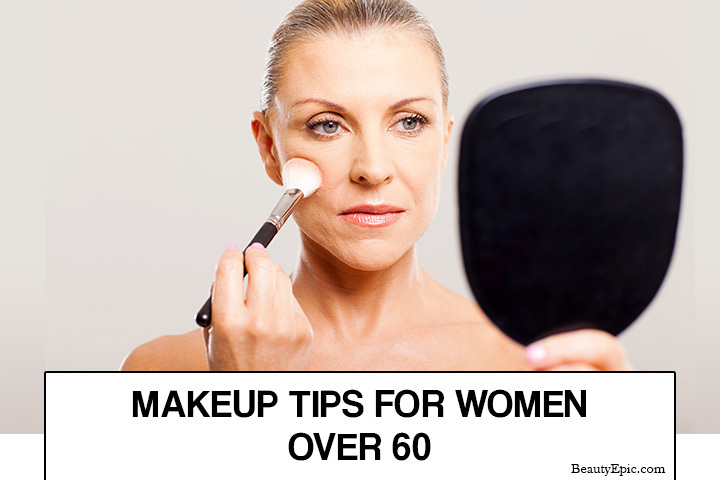 In this post, we will share some great and useful make up tips for women above 60. Sagging around the eyelids is one of the problems associated with ageing. However, the good news is that you can take care of the sagging skin under your eyes by using proper highlighter. Don’t over use though, just go with an easy flow. 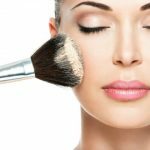 The highlighter can be applied lightly to your skin using small brush or fingers. You can apply the cream in the middle of the cheek and spread it up. Also, remember to apply the cream lightly under the eyes and around the side of your nose. By using the right highlighter, you will surely brighten and even out your skin tone. Your eyes are the first thing that a person notices in your body, which is why you should do everything possible to ensure they are healthy and appealing. Use of carrots and green leafy vegetables increase your eyesight and gives it a timeless glow. Proper washing and regular exercises focused on the eyes improves your eye strength and vision, with an overall effect of impacting your beauty. So, love your lashes and always take proper care by applying little eyelash serum periodically. These will boost the growth of thick eyelashes which increases their appeal. Exposure to the sun is harmful to both young and older people who’re keen on ensuring their skin remains young and full of vigor. 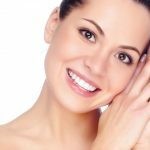 Over exposure to the sun can lead to dark spots in the skin and if not addressed urgently, could escalate skin wrinkling. The harmful UV rays from the sun are also a factor in causing skin cancer. As a preventive measure, always wear a hat to protect your skin when you are out in the sun. You can also use sun screens to block harmful radiation from the sun. Your lips require proper care and stand as an important factor that determines your overall beauty. A light pink shade on your lip can give out a pretty pout-out appearance that reduces the fine lines around your mouth. Use of lip gloss after the addition of lipstick helps in plumping of the lip and makes it more appealing. 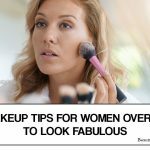 If you are looking for a modest makeup, you can use bold red or even purple color lipstick that gives you a polished look. As you age, your hair becomes gray. This is a natural and unavoidable process of aging. However, you might be tempted into believing that you have to match your grey hair with grey brows. It’s fine to have a brown eyebrow with your grey hair. According to make-up artist Melissa Yeo, older women do not require bold thick brows that match with their grey hair. All they need is to fill the brows with light or warm brown pencils. Also, try to keep simpler strokes and remember your hair should be kept soft, made wavy or even flowing. Experts also recommend highlighting the crown portion of your hair; the very portion that frames your face. The skin needs nutrition for its proper maintenance. Moisturizing, cleaning and using natural products will keep your skin healthy and improve your beauty, even in your post-60 years. You can use natural moisturizers such as aloe Vera, olive oil, coconut oil and thyme oil, instead of going for chemical products. You can also use cucumber to cover your eyes twice a week as it reduces the dark circles around the eyes. The use of antioxidants and lactic acid [which we get naturally by the way] reduces wrinkle formation and make you look young. It’s good to have a bath two times daily as it refreshes and invigorates your skin by unblocking the skin pores for efficient air flow. However, it’s not recommended for women who are above 60 years of age. Even though soaking yourself in a warm bathtub relaxes your mind, it will adversely affect your skin. Unknown too many, a warm bath can age your skin fast, so please say no to warm water bath. 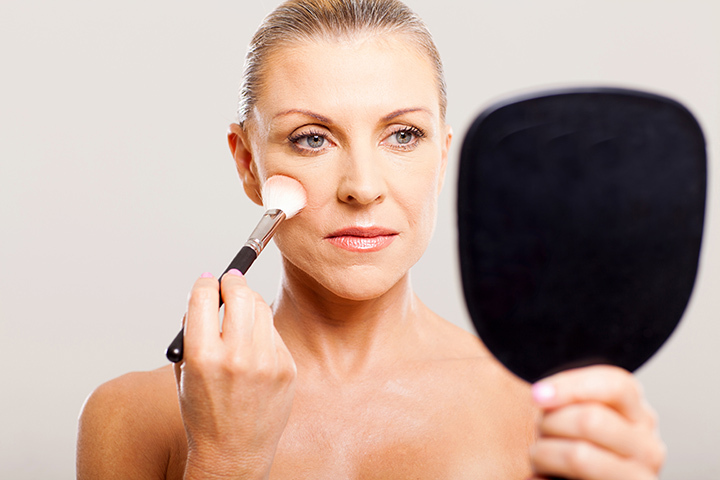 The above are some of the most important beauty and make-up tips for women who are above 60 years. Needles to mention, remember to supplement these beauty tips with moderate exercise and healthy dieting. 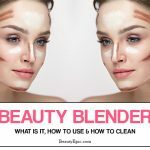 Beauty Blender: What is it, How to Clean and How to Use?